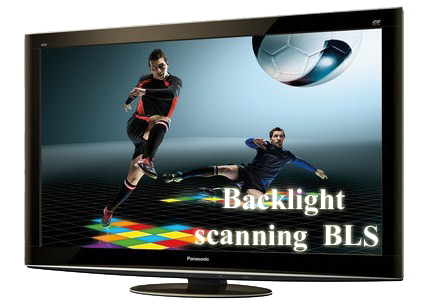 Backlight scanning BLS - Scanning backlight used in Panasonic TVs. This is an index determining the dynamics of the performance of TVs. Determine the special LCD screen TV backlight technology. This rate does not correspond to the actual refresh rate on a television screen. Smooth playback of dynamic visual movement created due to flickering the backlight according to a certain algorithm, which works in tact with a change of personnel on the TV screen. Panasonic does not endorse strongly the technology simply stipulates its presence.